Does the inside of your mouth or jaw ache? Are you experiencing pains while chewing or have you noticed that your gums are inflamed and puffy in a particular area? These symptoms could point to an abscessed tooth, which is classified as a fluid-filled sac containing pus and bacteria. Depending on where an abscess is located, it may resemble a small pimple on gum tissues surrounding teeth. This is a periodontal (gum) abscess, and typically occurs when bacteria seeps into the space between the tooth and gum line. On the other hand, an abscess can develop when the soft tissue inside the root canal of a tooth dies and becomes inflamed and infected. This type of abscess is called a periapical abscess. While individuals will certainly experience pain as a result, they will not visually see the abscess, because it is located inside the tooth. While a periapical abscess is far less common than a periodontal abscess, it poses a great risk to the surrounding bone and jaw. While you may not have all of the above-mentioned symptoms, it’s important to call the dentist even if you are only experiencing a few. It’s also important to understand that if your abscess appears to be draining, you should still contact the dentist. You might need an antibiotic to guard against infection in other areas of the body from the infected bacteria. At Smile Avenue Family Dentistry, Dr. Patrick Vuong makes it his priority to provide the best possible dental care experience possible. 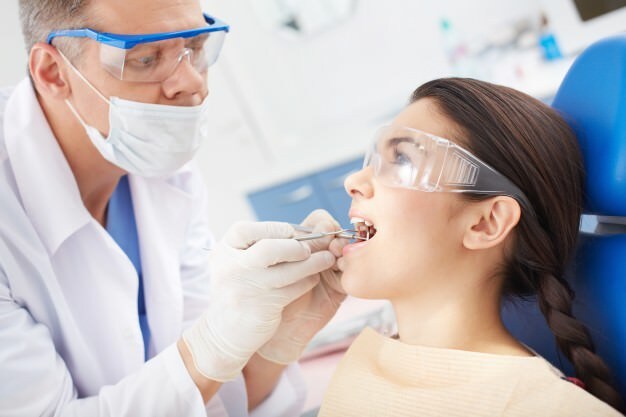 Thus, if you are dealing with pain from a tooth abscess, you can bet—Dr. Vuong will give you the focused care and attention that you need and deserve. What’s more is that he will go above and beyond to make sure that you are comfortable. Don’t wait until you dental concern becomes an emergency. Call Smile Avenue Family Dentistry today.